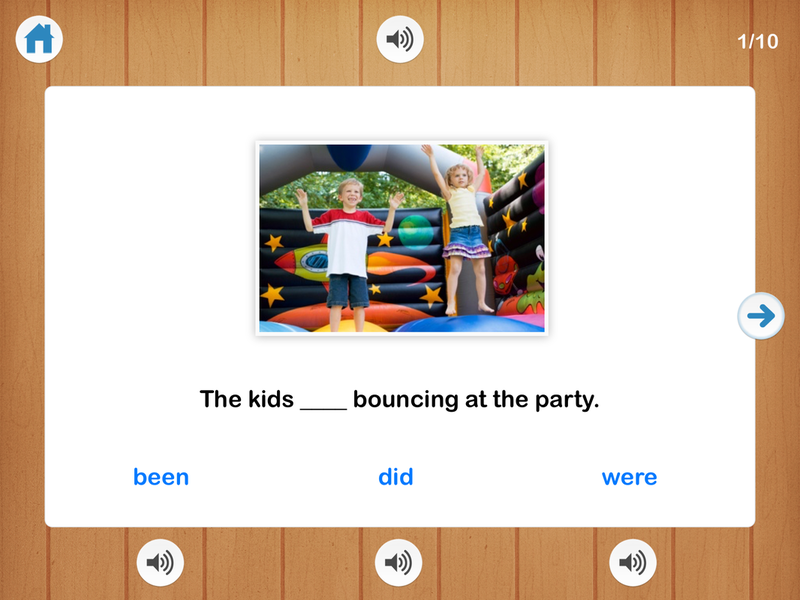 Verbs from I Can Do Apps is a tool designed to work on the understanding and use of action words as well as build grammar (syntax) skills. 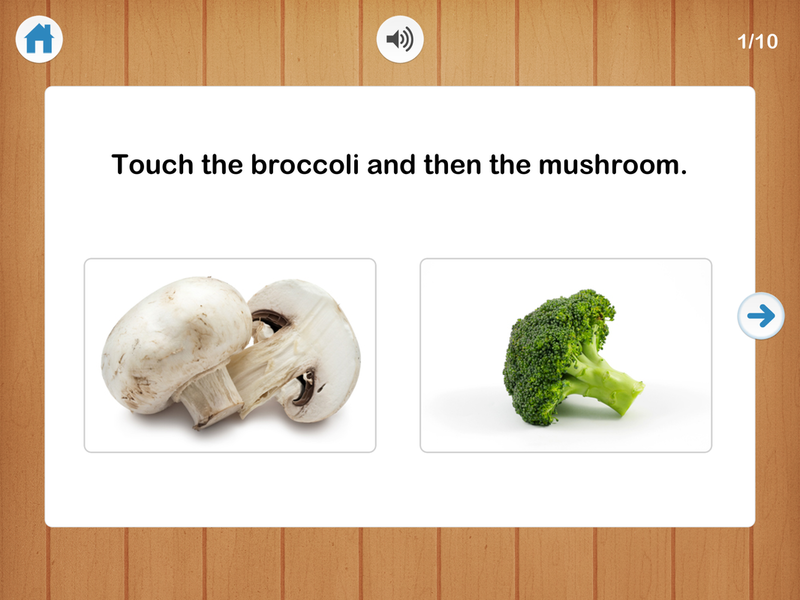 Understanding action words and being able to use a variety of verbs is a crucial skills for language development. 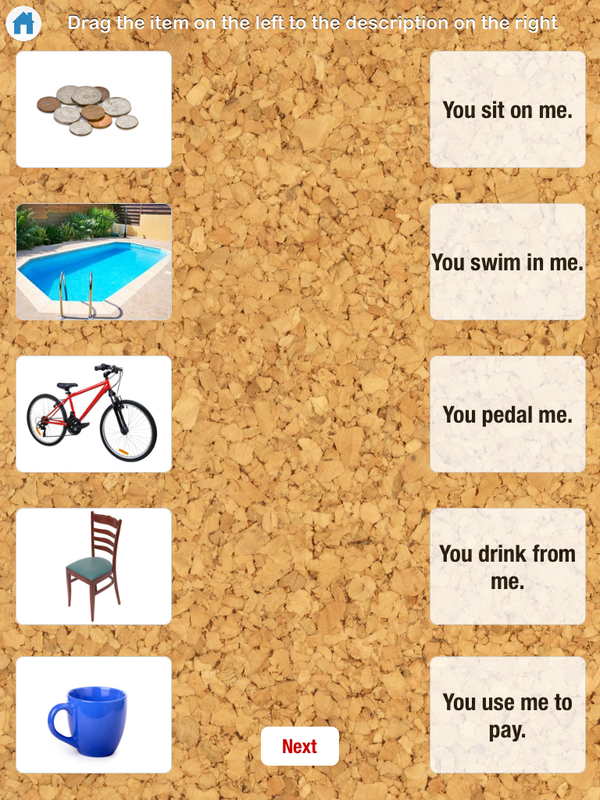 This app targets the use of present, past and future tenses and regular, irregular and helping verb forms. 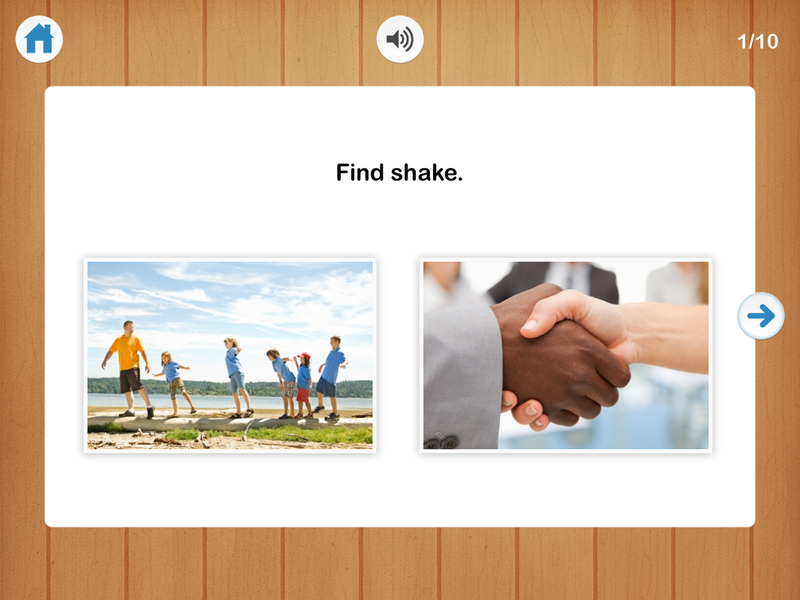 Designed in collaboration with a Speech Language Pathologist. 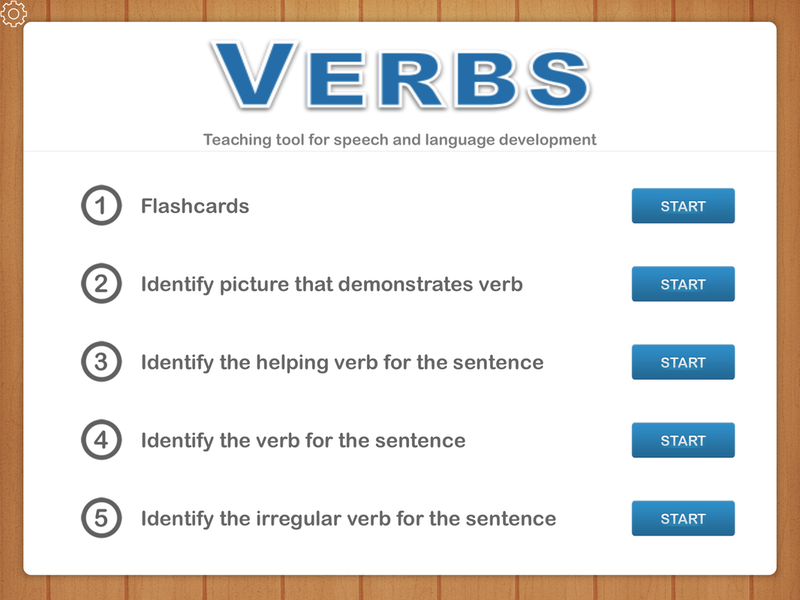 Verbs from I Can Do Apps is ideal for parents, teachers, therapists and individuals with language and/or cognitive disorders. 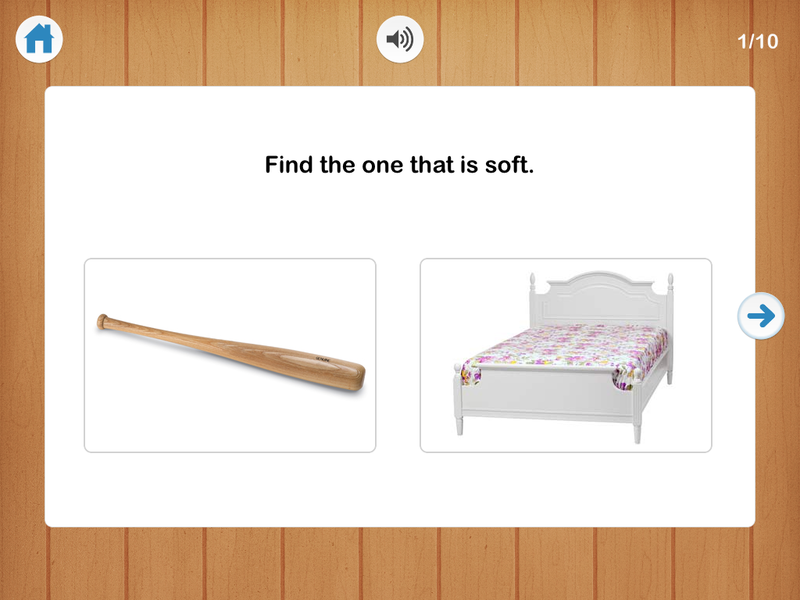 Object Identification from I Can Do Apps is an educational tool designed to work on identifying objects when given a description including nouns, adjectives, verbs or attributes. 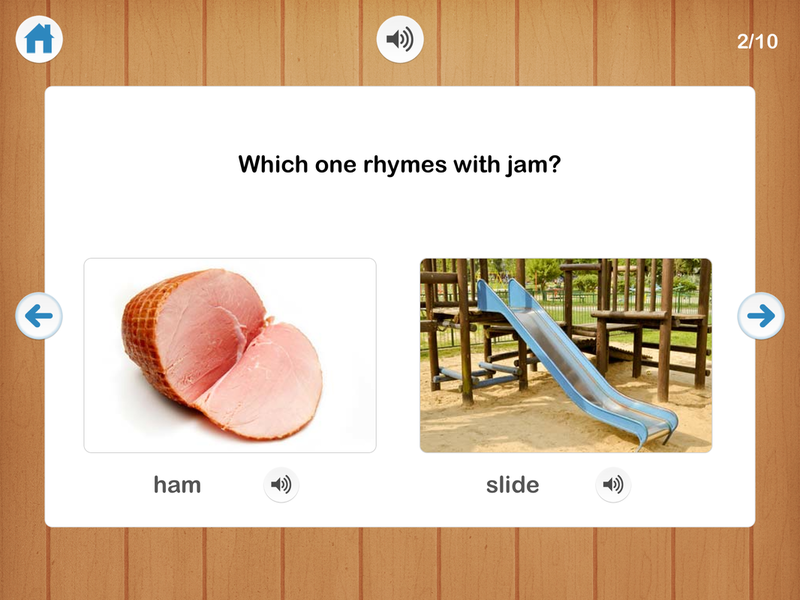 This app is designed in collaboration with a Speech Language Pathologist. 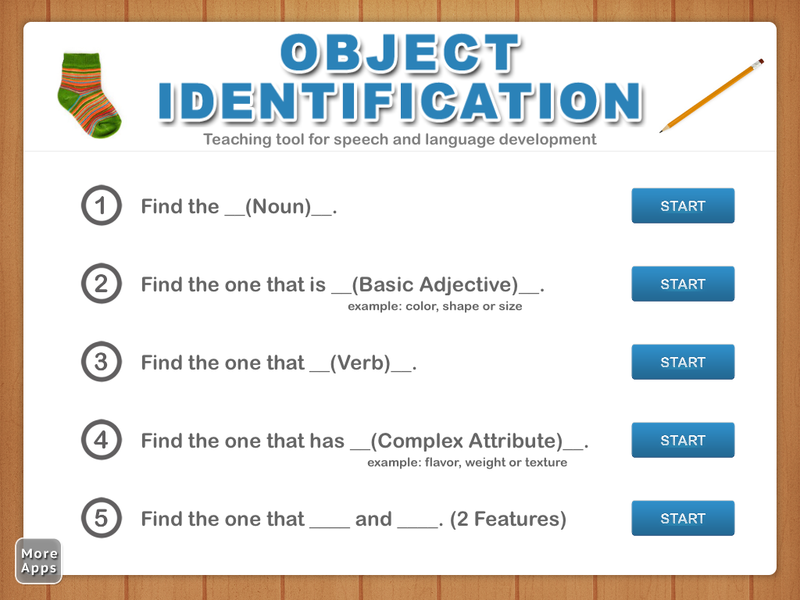 Object Identification from I Can Do Apps is ideal for parents, teachers, therapists and individuals with language and/or cognitive disorders. Level 1: Find the __(Noun)__. Find the one that is blue. Find the one that is round. Find the one that is little. Level 3: Find the one that __(Verb)__. Find the one that swims. Find the one that you use to catch. Find the one that you wear on your feet. Find the one that has an engine. 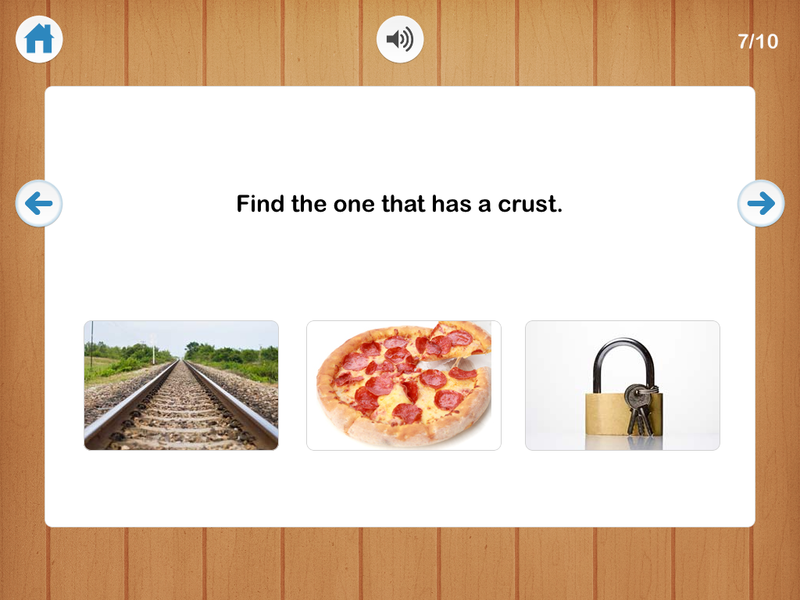 Find the one that is crunchy. Find the one that is made of wood. Find the one that is cold and sweet. Find the one that has a string and floats. Find the one that is orange and round. 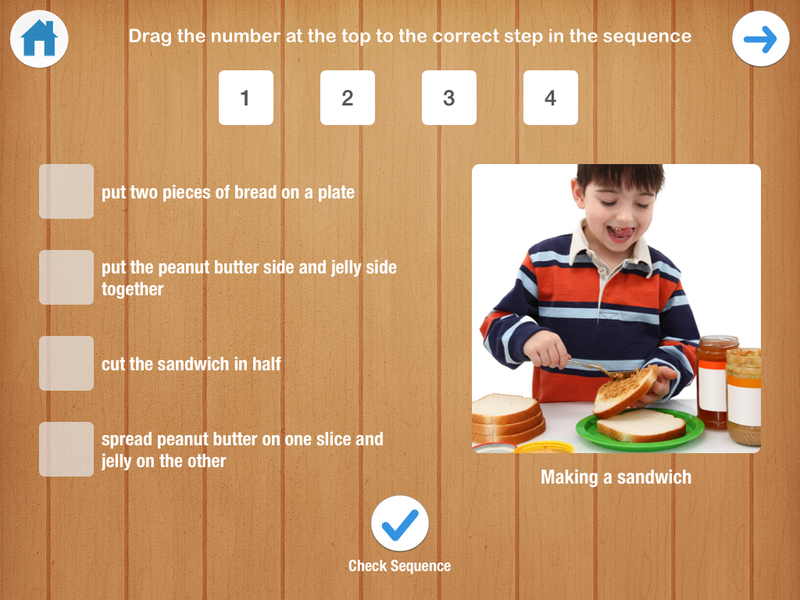 Visual Matching from I Can Do Apps is an educational tool designed to work on picture recognition, visual memory, reading and matching skills. 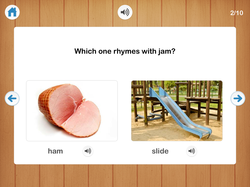 This app is designed in collaboration with a Speech Language Pathologist. 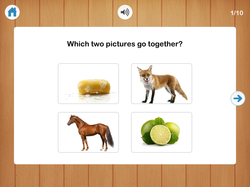 Visual Matching from I Can Do Apps is ideal for parents, teachers, therapists and individuals with cognitive, visual processing or language disorders. Identifying, understanding, and responding to emotions are very important skills for individuals to develop in order to behave and interact appropriately in social situations. These skills help individuals to develop relationships with others, identify feelings in themselves and others. Taking perspective /using theory of mind is a complex skill for individuals with social language/pragmatic deficits. 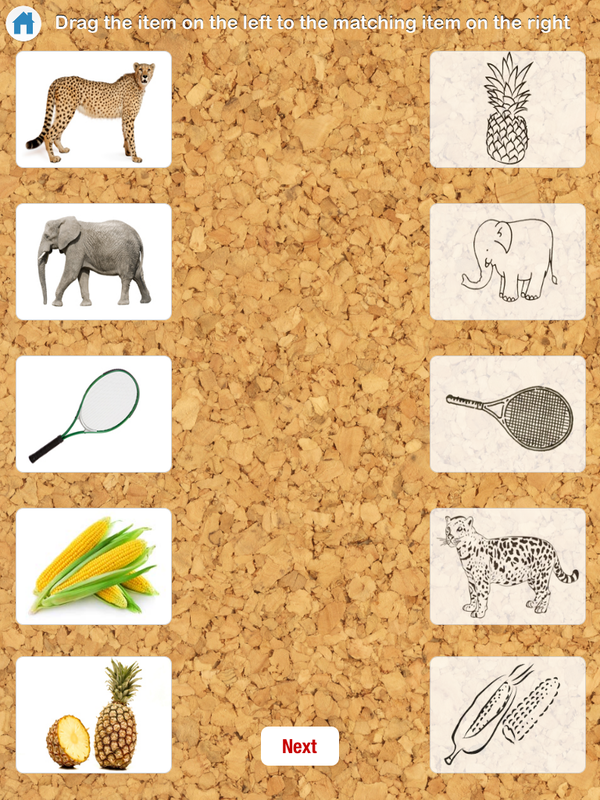 Emotions Flashcards from I Can Do Apps is an educational tool designed in collaboration with a Speech Language Pathologist that allows you to introduce new concepts, practice identifying emotions, taking perspective / theory of mind, in a fun and simple way. 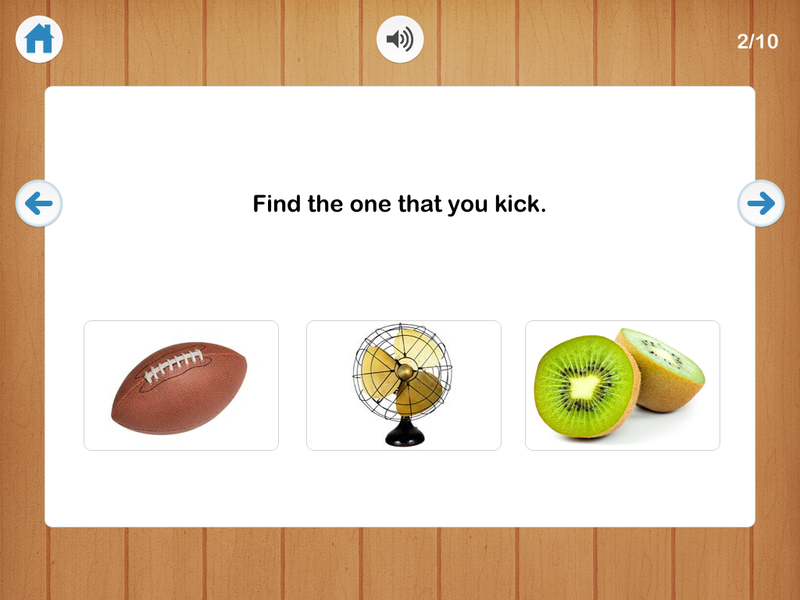 This app focuses on helping individuals identify different facial expressions using real faces and test understanding of emotions. 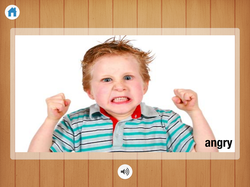 Emotions Flashcards include - happy, sad, scared, surprised, angry, tired, grumpy, excited, proud, sick, bored, frustrated and calm. 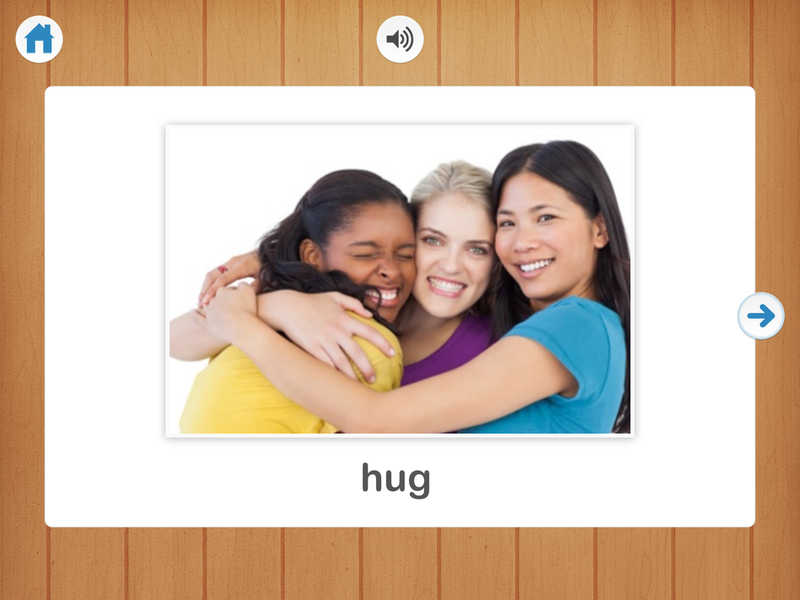 Emotions Flashcards from I Can Do Apps is ideal for parents, teachers, therapists and individuals with Autism Spectrum Disorder, social language disorders and behavioral challenges. Identifying, understanding, and responding to emotions are very important skills for individuals to develop. These skills help individuals to develop relationships with others, identify their own feelings as well as others and then determine how to interpret emotions and respond appropriately in social situations. 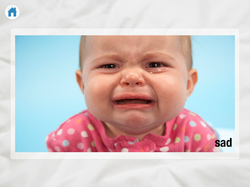 Baby Emotions from I Can Do Apps is an educational tool designed in collaboration with a Speech Language Pathologist that allows you to introduce the concept of emotions to younger children. Babies and toddlers enjoy looking at faces, especially of other children. 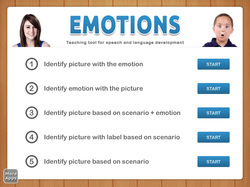 This app allows children to practice identifying and imitation of emotions in a fun and simple way using real faces. 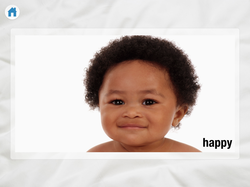 Baby emotions include - happy, sad, scared, surprised, tired and calm. 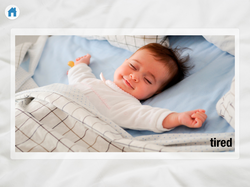 Baby Emotions from I Can Do Apps is ideal for parents, teachers, therapists and individuals with Autism Spectrum Disorder, social language disorders and behavioral challenges. 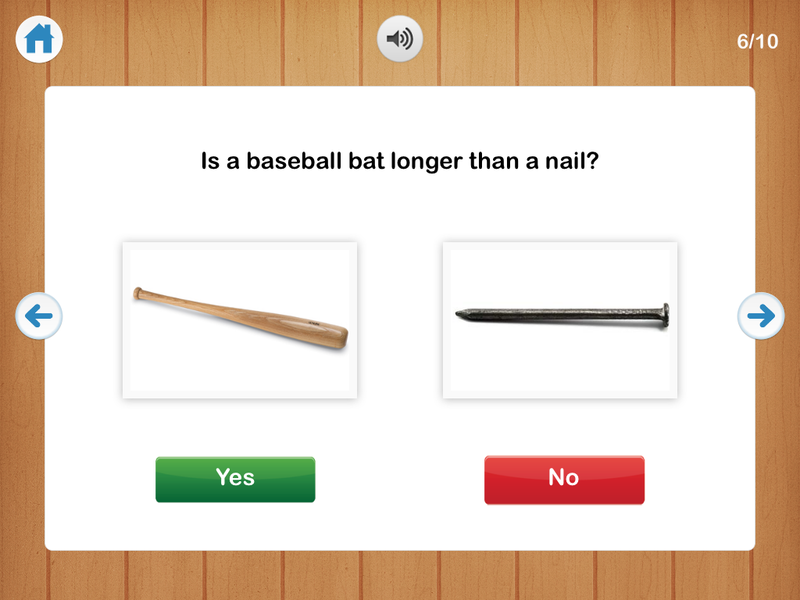 Yes/No Data from I Can Do Apps is a clinical tool designed in collaboration with a Speech Language Pathologist that allows therapists to track yes, no and total counts. 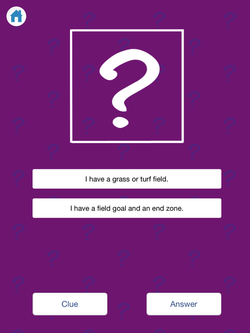 This app is ideal for data collection during therapy and also provides visual feedback for clients to tally their own responses and see their progress. 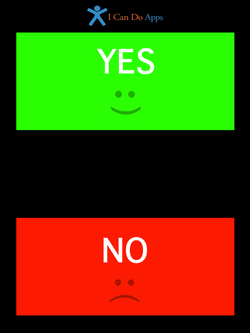 This clean and simple design allows users to indicate yes/no responses with a tap of the screen and hear their responses. 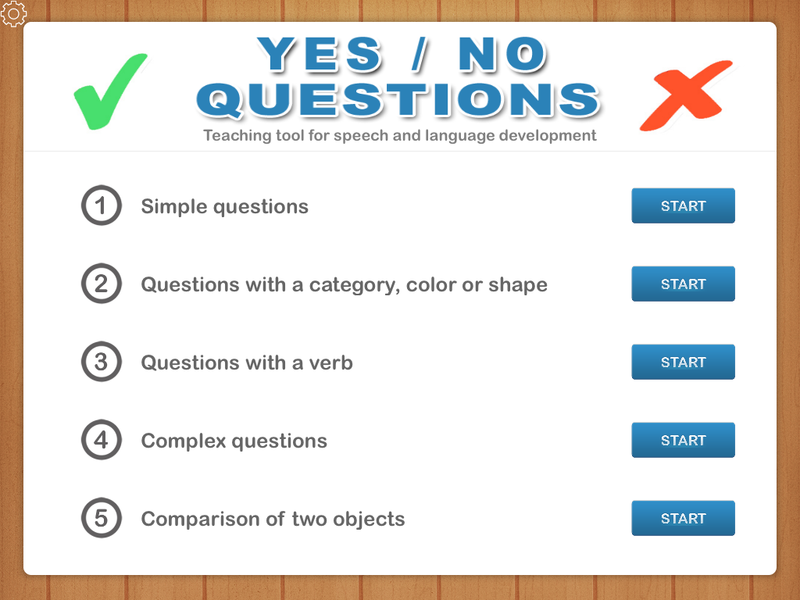 Yes/No from I Can Do Apps is an educational tool designed in collaboration with a Speech Language Pathologist that allows non-verbal individuals to communicate yes and no. 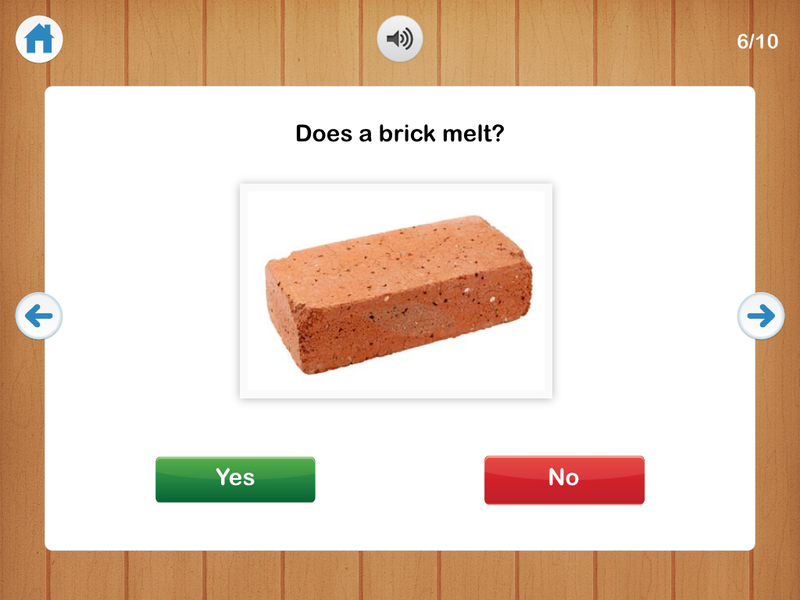 This clean and simple design allows users to indicate yes/no responses with a tap of the screen and hear their responses. 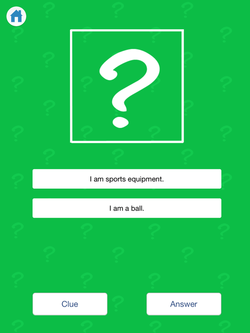 Yes/No from I Can Do Apps allows individuals to work on answering yes/no questions and indicate their wants and needs more clearly. 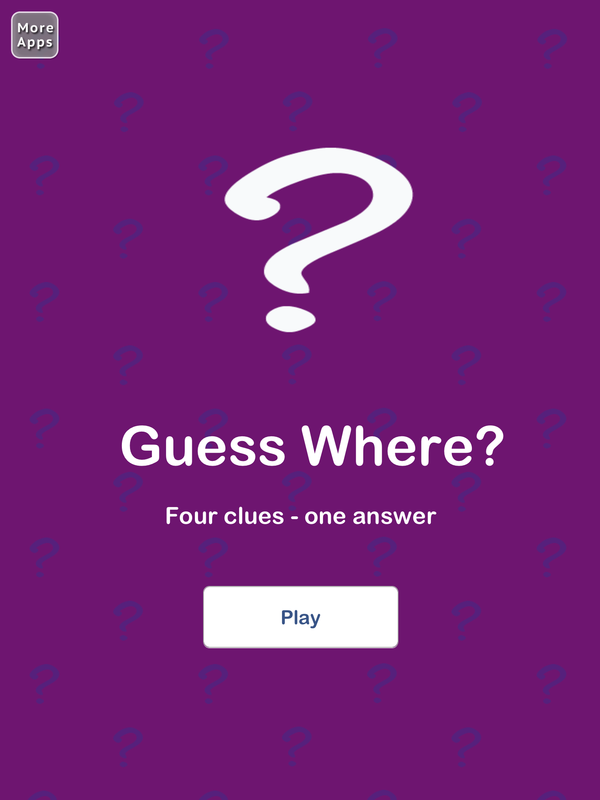 Guess Where is an educational app consisting of four clues and one answer designed to help individuals work on answering questions and inferencing: making predictions and deductive reasoning skills. Inferencing is an important skill for early reading comprehension and determining implied meaning in text. Being able to interpret information presented and answering questions are key skills for language development. 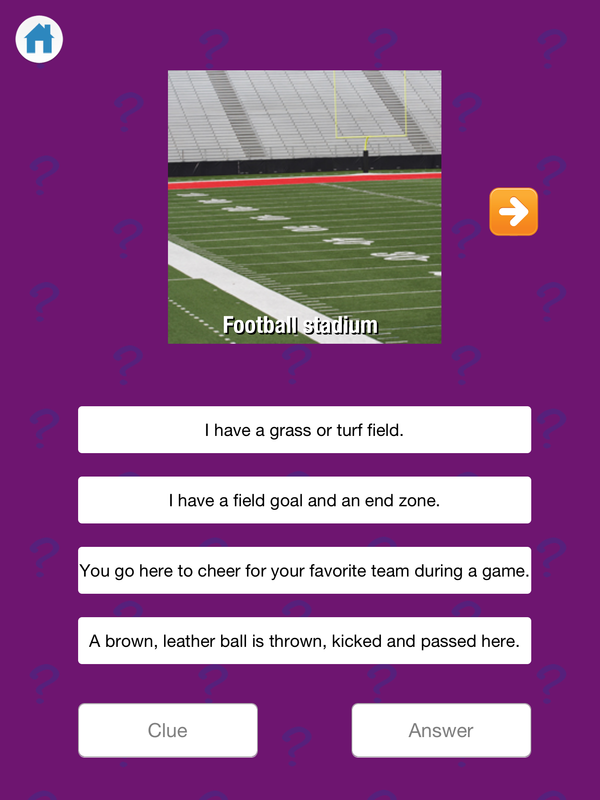 The goal of this app is to use the clues provided to guess where is hiding behind the mystery card. Manually reveal the clues one at a time which allows time to discuss each clue. Press the answer button when you think you have the answer to reveal the photograph. The answer can only be seen after at least two clues are viewed which helps reduce over eager or impulsive guessing. 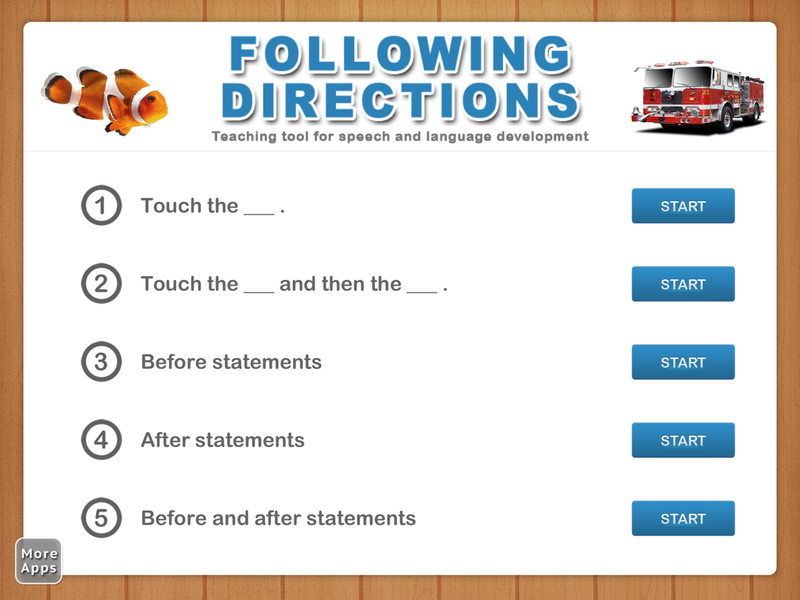 This interactive teaching tool can be used by parents, teachers, therapists and individuals to further develop skills of inferencing, predicting, deductive reasoning, auditory memory, vocabulary, word finding, reading comprehension, building semantic knowledge and answering questions. Guess Where has a clean design and is easy to use which decreases distractions. This app is great for carryover and home practice. We suggest parents play along with their children and help with ideas, additional information or to promote a conversation. Playing Guess Where with siblings or friends encourages social skills important for communication and sharing. Guess Where is perfect for long car rides, while you wait at a restaurant or just for FUN! Same / Different from I Can Do Apps is an interactive teaching tool designed to be use by parents, teachers, therapists and individuals to further develop identification and learning of new vocabulary, categorization, develop visual discrimination and matching skills. Understanding the concepts of “same and different” is an important skill for building stronger vocabulary, oral language, receptive language, visual perceptual skills and reading skills. Same or different recognition is an early form of classification. 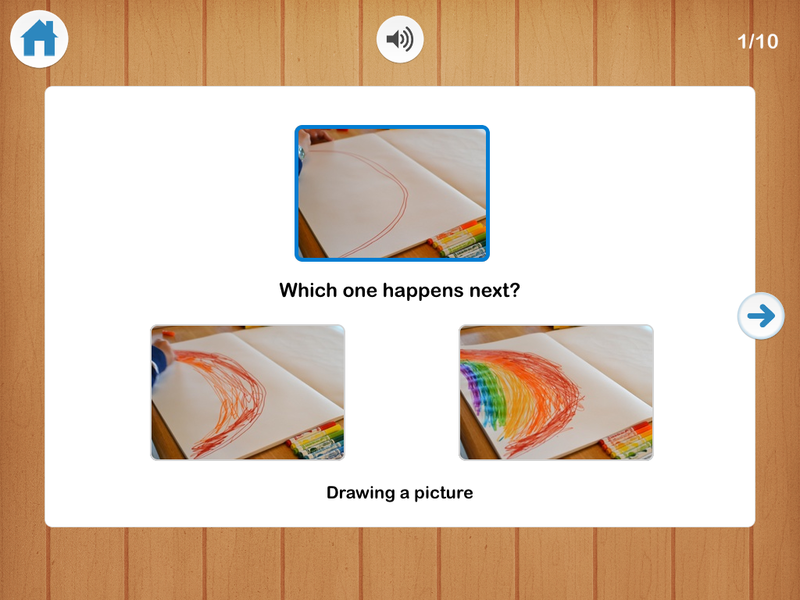 This app can help develop early visual perceptual skills including: discrimination and matching skills as well as building cognitive and language skills by teaching new concepts and categorization/classification. Guess Who is an educational app consisting of four clues and one answer designed to help individuals work on answering questions and inferencing: making predictions and deductive reasoning skills. Inferencing is an important skill for early reading comprehension and determining implied meaning in text. Being able to interpret information presented and answering questions are key skills for language development. The goal of this app is to use the clues provided to guess who is hiding behind the mystery card. Manually reveal the clues one at a time which allows time to discuss each clue. 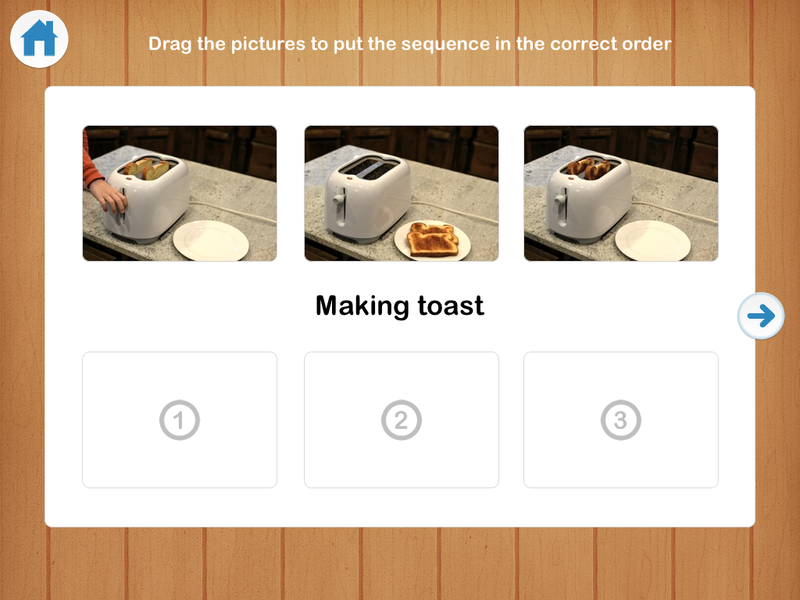 Press the answer button when you think you have the answer to reveal the photograph. 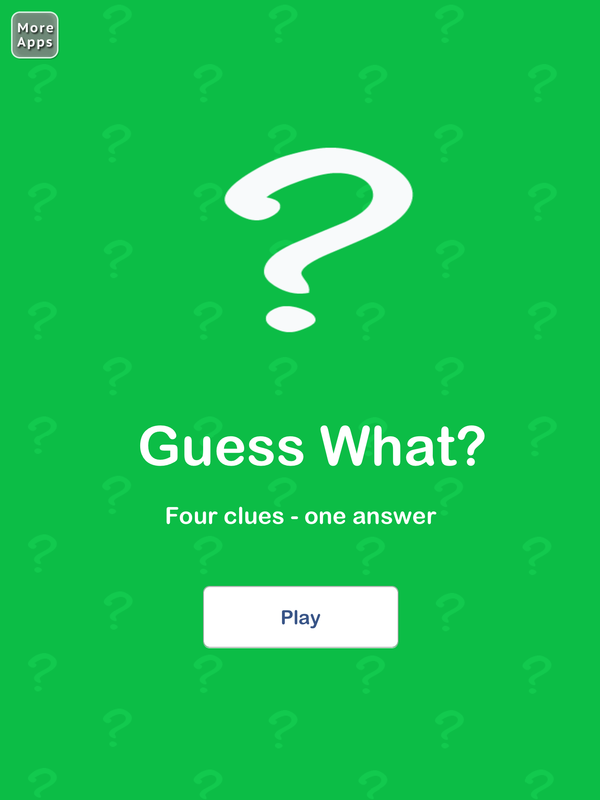 The answer can only be seen after at least two clues are viewed which helps reduce over eager or impulsive guessing. 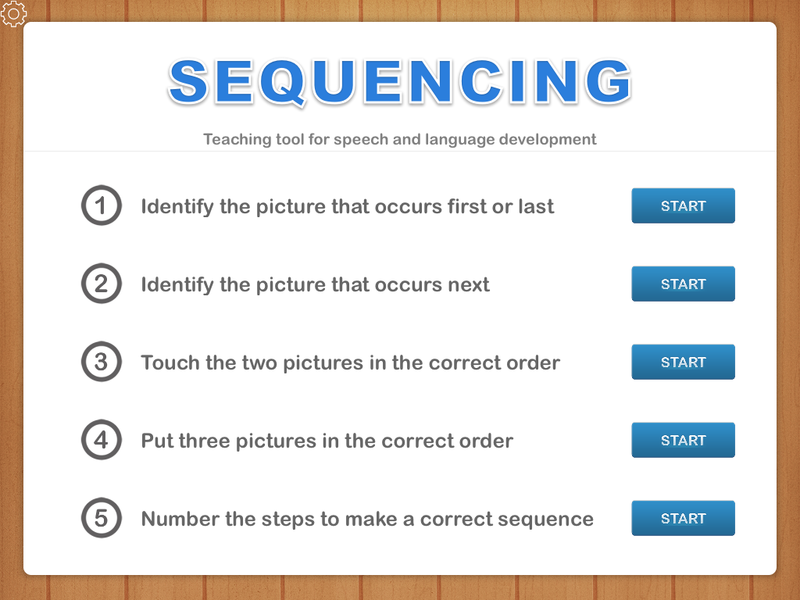 This interactive teaching tool can be used by parents, teachers, therapists and individuals to further develop skills of inferencing, predicting, deductive reasoning, auditory memory, vocabulary, word finding, reading comprehension, building semantic knowledge and answering questions. Guess Who has a clean design and is easy to use which decreases distractions. This app is great for carryover and home practice. We suggest parents play along with their children and help with ideas, additional information or to promote a conversation. Playing Guess Who with siblings or friends encourages social skills important for communication and sharing. Guess Who is perfect for long car rides, while you wait at a restaurant or just for FUN! Guess What is an educational app consisting of four clues and one answer designed to help individuals work on inferencing: making predictions and deductive reasoning skills. Inferencing is an important skill for early reading comprehension and determining implied meaning in text. Guess What has a clean design and is easy to use which decreases distractions. 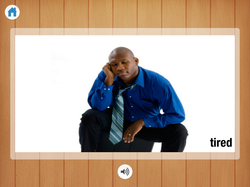 This app is great for carryover and home practice. We suggest parents play along with their children and help with ideas, additional information or to promote a conversation. Playing Guess What with siblings or friends encourages skills of communication and sharing. Guess What is perfect for long car rides, while you wait at a restaurant or just for FUN! 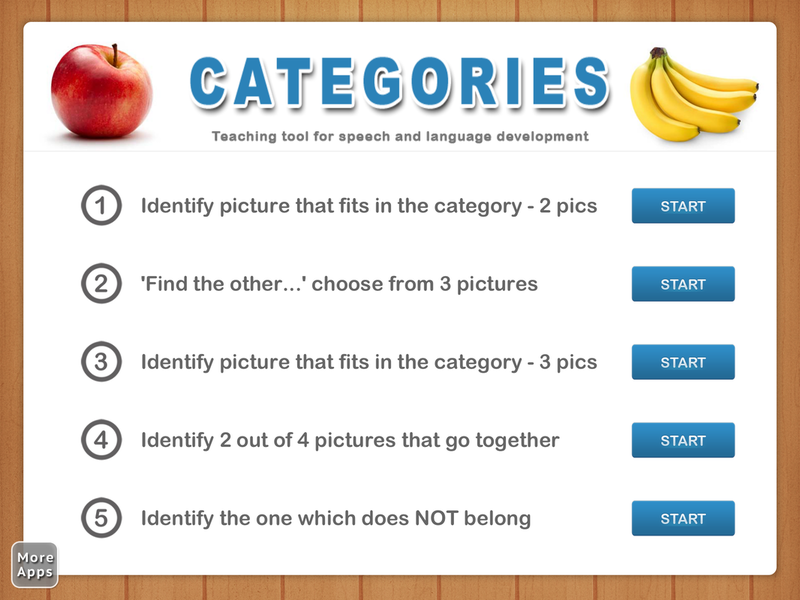 Categorization is an important cognitive-linguistic skill. The ability to accurately categorize allows individuals to learn and access new vocabulary, increase expressive, receptive and reading skills. 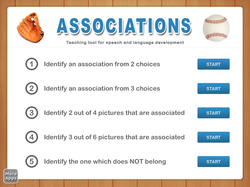 Categorizing helps individuals develop associations and connections between concepts. 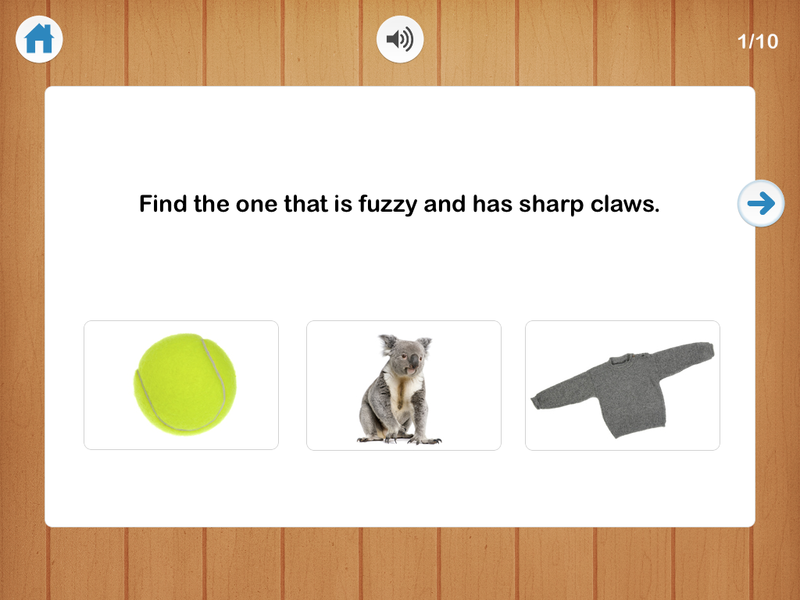 This interactive teaching tool can be used by parents, teachers, therapists and individuals to further develop listening skills, reading comprehension, identification of vocabulary, reasoning and problem solving skills. 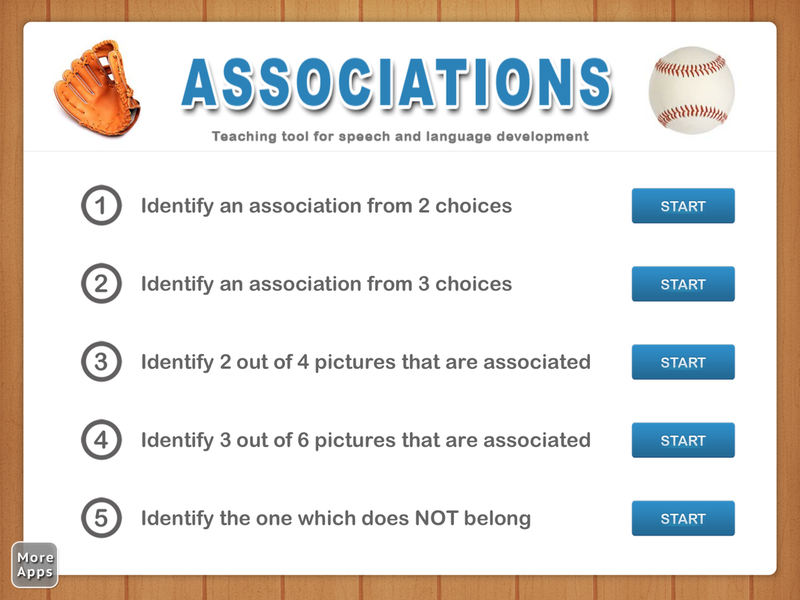 The ability to identify and make associations is an important language skill for building stronger vocabulary, oral language, receptive language and reading skills. 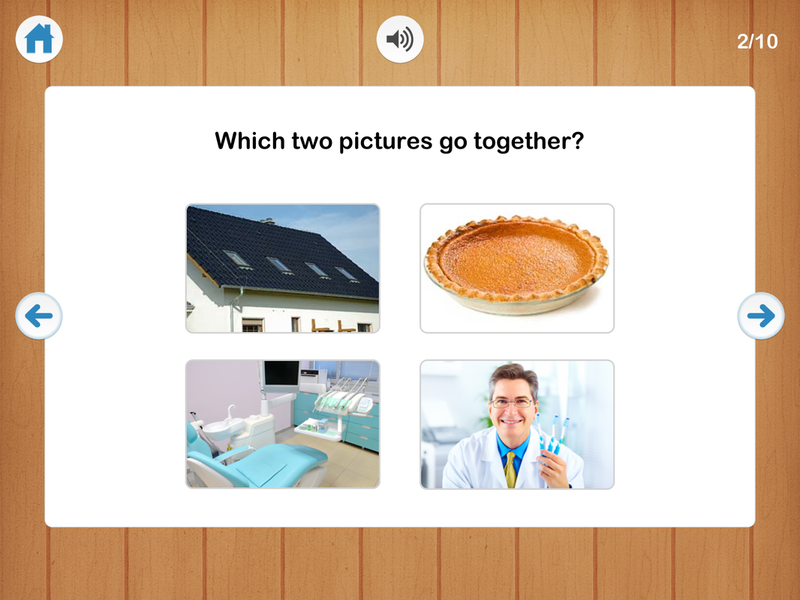 Making associations between words and pictures helps to build semantic relationships, understanding of categorization, reasoning and problem solving skills. 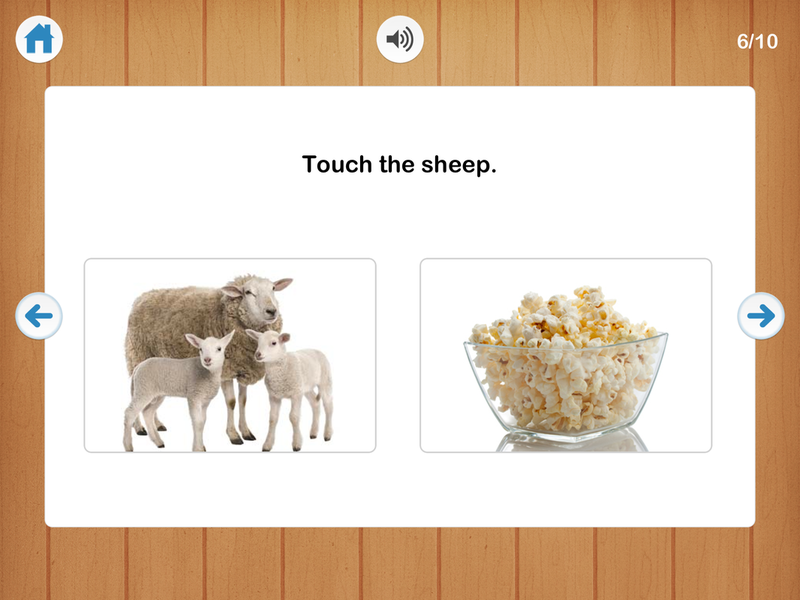 This interactive teaching tool is designed to be use by parents, teachers, therapists and individuals to further develop listening, identification and learning of new vocabulary. Alliteration (repetition of the initial consonant sound) is a phonological awareness skill important for the development of reading, comprehension and spelling. 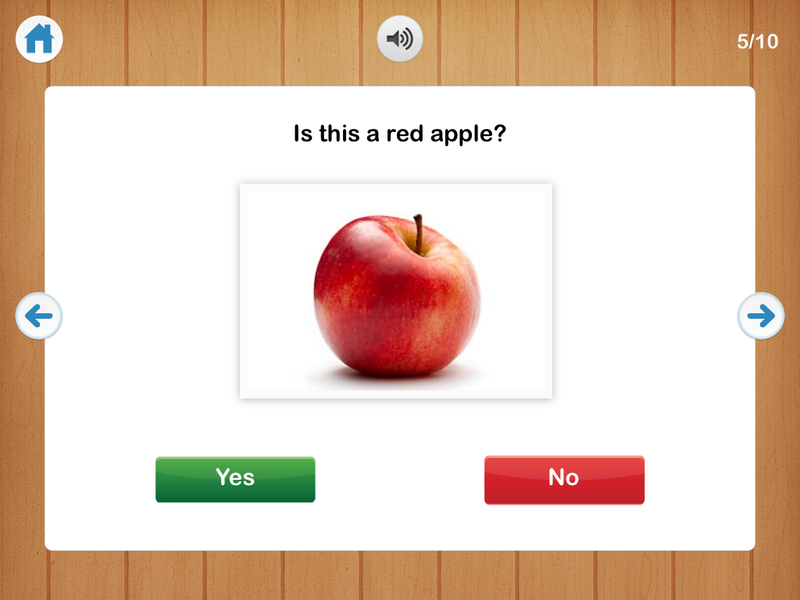 This interactive teaching tool can be used by parents, teachers, therapists and individuals to further develop the ability to listen, identify and manipulate individual sounds crucial for learning. Rhyming is a phonological awareness skill important for the development of reading, comprehension and spelling. 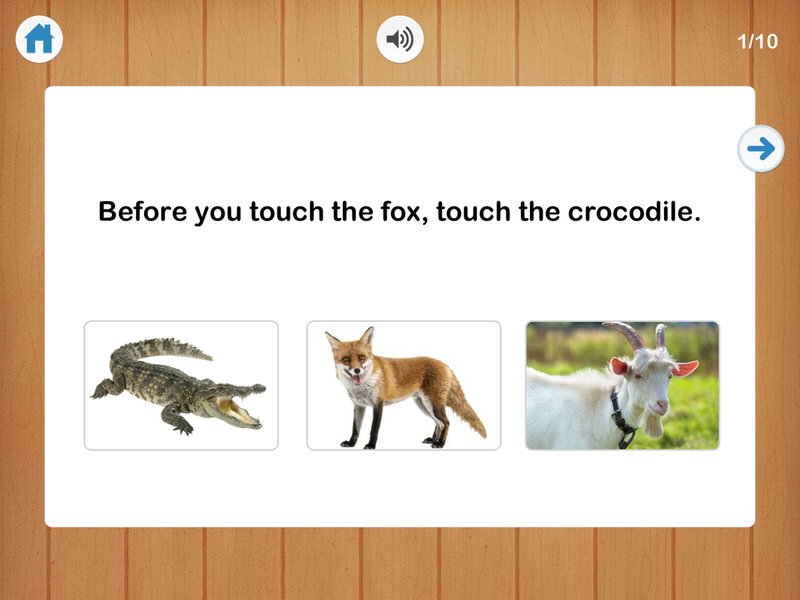 This interactive teaching tool can be used by parents, teachers, therapists and individuals to further develop the ability to listen, identify and manipulate individual sounds crucial for learning rhyming skills. 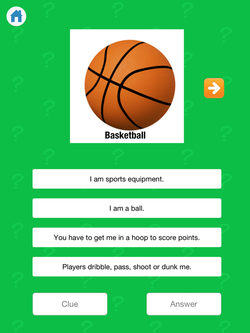 Emotions from I Can Do Apps is an educational tool designed in collaboration with a Speech Language Pathologist that allows you to introduce new concepts, practice identifying emotions, taking perspective / theory of mind, in a fun and simple way. 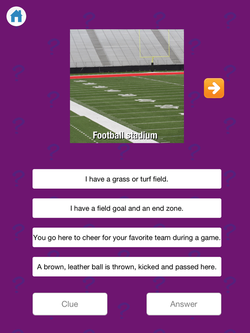 This app focuses on helping individuals identify different facial expressions using real faces and test understanding of emotions. Emotions from I Can Do Apps is ideal for parents, teachers, therapists and individuals with Autism Spectrum Disorder, social language disorders and behavioral challenges.